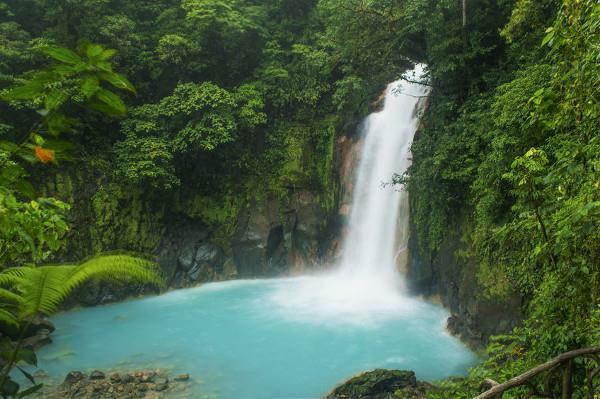 Rio Celeste is one of the most beautiful places in Costa Rica. With a newly paved road, we can easily visit this magical river as a stop between the Arenal and Tamarindo/Conchal areas. Turn a regular road transfer ito an unforgetable day-trip. Rio Celeste is inside the Tenorio Volcano National Park. The park has 7 Km walking trai along both sides of the river to the place where the river water changes to its unique color. Our driver will watch the luggage for you while you hike the trails or swim at the base of the spectacular waterfall. The National Park has an entrance fee of $16 US per person. Includes: Up to 3 hours to visit Rio Celeste at Tenorio Volcano National Park, fuel, insurance, parking, road tolls and all other expenses.